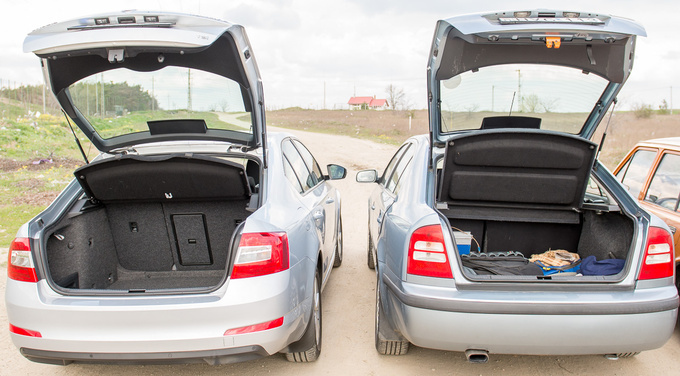 Totalcar Magazine - New Cars - Bog standard Octavia – is it any good? Sir Lancelot had the Holy Grail, Mytyl had the Bluebird of Happiness. As for us, we yearn for entry level cars. 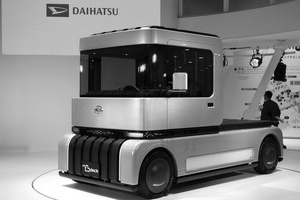 If there is a model I really like I won’t rest until I can drive it in its most basic specification. Which is obviously almost as unattainable as the cup from the last supper or the winged creature that is supposed to make you feel good. It has happened to me before. I asked for their lowliest life form available, and the best they could give me was some mid-spec model with an entry level engine. There is a reason, though: customers are not interested in stripped-down cars. They like the 'as low as' price on the billboard but their idea of Spartan is more like a hero with ripped abs, dressed in a leather thong and wielding a sword. When Škoda commissions an Octavia as a media test car, they invariably opt for the RS version in Subaru-blue. And rightly so! The RS is a show-stopper alright. The car also looks nice in fleet-spec solid white, except it does not have the vow factor. The difference between the advertised as-low-as car and an actual, tangible 105 PS TSI model is about €2300. Škoda calls it a launch incentive which means that, although EU regulations wouldn't let them go this low, actual prices start at around €15,600 and you can pick up a decently stocked Ambition model for around €16,300. Of course it's no first class but I have yet to see anyone who travels first class on his own budget, be it by air or on the road. The first thing that strikes me about the 1.2 TSI is the seats. They are as good as in the RS, except -of course – for the fabric upholstery. Nice and firm padding, with ergonomic shapes. I look around, searching for signs of puritanism but there are none. Sure, the ambience is mostly black with very little chrome but the entire environment is so clean, so geometrical, and the materials are of so nice quality, I decide to keep eyeballing them before I set off. The engine runs buttery smoothly. So much so that in fact I once got tricked into thinking it had stopped at the red light while, in fact. it was still running. Then it turned out it had indeed stopped, so this sneaky son of a gun stops and starts practically unnoticed which is great. So what is the vintage car doing here? Yeah, I know. 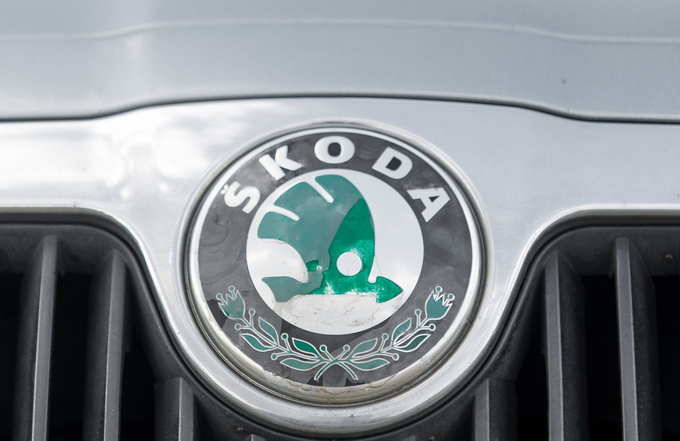 The only thing this prehistoric Škoda 105 shares with its modern namesakes is the badge. Or is it? After all, this was the epitome of stripped down specs back in 1981. So what is this car doing here? It's simple: we know the guy who bought it two years ago with an insane 28,000 km on the odo. The car is in impeccable condition, aesthetically as well as mechanically. It had no issues passing the stringent tests to qualify as an official classic car. To make a long story short, we invited the 105 and its owner simply to spice up the photo shoot and to see if we can come up with some sort of a universal truth about Škoda. The gearbox itself seems as good as in the RS. The only thing that needs getting used to is that the clutch seems to fall right to the floor if I as much as touch the pedal. 105 PS does not require a heavy clutch. But will it fire up? Sure. Second gear ends somewhere around 90 kph, with the third good up to 130 kph. Fourth gear will last you until 180 kph. That means it is doing about 4000 rpm at around 150 kph in fourth, so there is plenty of grunt left in it before power ebbs out at 6500 rpm. And this is not a test car specially and secretly prepared for journalists, but the everyday drive of a Škoda employee loaned to us for the review. The engine behaves uniformly throughout the lower registers, from as low as 1200 rpm to up to twice as much. It takes about half a second for the turbo pressure to build up when you floor it; once the boost is there it will start pulling from wherever. If you need instant torque for overtaking, work the gear lever in time and there you go. 0 to 100 takes 10.3 seconds. I could have just checked the technical sheet and saved myself the trouble of timing it. Engine speed in top gear is 2750 rpm at 130 kph – quite alright for a family hauler. What else is there to say? Sure, I was by myself, so it would probably feel slightly more sluggish when fully loaded but show me a car that doesn't. Since spirited driving is technically and legally out of the question in most of Eastern Europe you might as well hail this as the ideal engine for the Octavia. It is not particularly powerful but more than acceptable. The on-board computer displays an average consumption of 6.5 litres over the last 70 kilometres. I can't figure out how to reset the trip meter but it's still impressive from a car this big. There must be a catch somewhere and I am guessing it must be the useful life expectancy of the 1.2 TSI engine. Yet if you buy the car new, resort from driving it like a madman, let it warm up and then cool down properly, and have the intake manifold cleaned every 60,000 km this engine could last forever. The Octavia weighs 1230 kg, that's only 50 kg more than the 1.0 EcoBoost Ford Focus which is a significantly smaller car. While the first generation Octavia may look somewhat chubby today, I suspect opinions will change in a few decades and the car's overall harmony will prevail. The Volkswagen Group has come up with this overly rectangular form language and they seem to be using it more and more mechanically. If you look at the first generation Octavia you'll see harmonious and elaborate shapes all around. The rear of the Mk2 is, on the other hand, downright painful. Just look at those light clusters and the origami fold lines that serve absolutely no purpose. The older car may look meeker but you can't fault it. Nor can you fault the 102 PS 1.6-litre engine from 2001. This specimen has been used and abused, but apart from a burnt clutch it's alright. The gearbox is okay I guess, a far cry from Japanese 'boxes of the same period but it's no French Y2K technology either. Cars like this sell for about €1700, including aircon and the reassurance of getting a good user. My recollection may have failed me but this car drives pretty well. In fact I think I enjoy the 102 PS of the 1.6-litre engine better than the relative punchiness of the 1.2 TSI. I could never understand all the bickering about how slow the 1.6 Octavia was. I guesstimated all 102 horses to be in good working order. It really works up a sweat around 80 kph in second gear and it doesn't let up until 100 kph. Of course, flexibility is the middle name of this engine, which means a slight but gradual loss of power, resulting in a 11.8 sec sprint to 100 kph. However if you engage third gear at 80 kph you can rev the engine all the way to 6000 rpm (which means 120 kph) without further touching the gear lever. Whoever said the first Octavia was not suitable for country roads was a fool. 80-to-100 acceleration is alright even in fourth gear, with the engine revving at 5000 rpm as you reach 130 kph, dropping to 4000 rpm in fifth, which is still too much for sustained highway use, not to mention the wind noise. 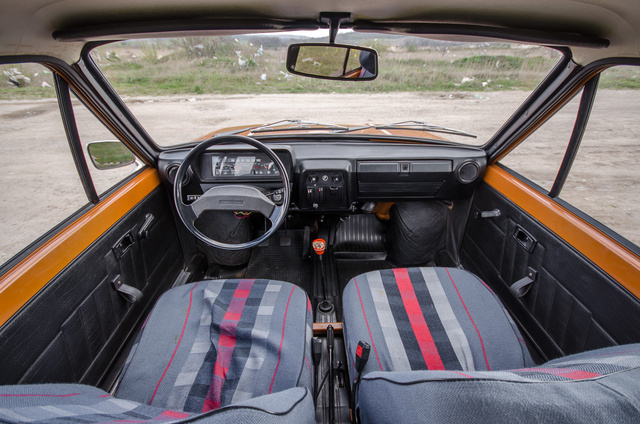 The seats are nice and firm, just the way modern cars should be – it must have been quite a change for Škoda from the old days, although I must say the elderly 105 also offers decent seating as long as you sit up properly with your derrièreclose up against the seatback. Instrumentation is reminiscent of today's graphics; it's hard to believe Škoda has already developed a tradition of some sorts after the VW takeover. Of course, backlighting was amber back then which, together with the cheap plastics, gave Škoda away as a low budget brand. Build quality is decent though, it's just everything feels cheap, much like in a Renault Thalia. Switchgear came from Volkswagen, which presupposes a certain quality despite all cost cutting efforts. Getting in the second seat row however brings back all the bad memories of the car. There is absolutely no room here, not for the legs, not for the head. There are plenty of tiny footprints on the back of the front seats, a tell-tale sign of just how little room there is here. That was the only real issue with the first generation Octavia. 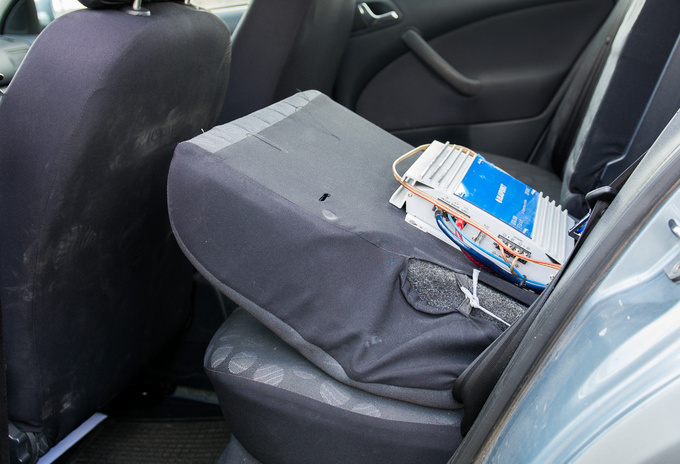 The boot, for instance, measured in an outstanding 528 litres. 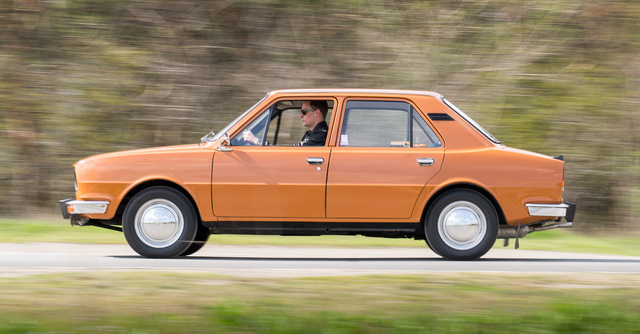 You can safely buy one of these Škodas as a used car, no tricks involved, just find one that looks and drives decent. If it doesn't, walk away because the Octavia is an inherently good vehicle. In post-communist countries many people tend to think things used to be better but as for the Octavia there is a clear line of development. It has grown larger, more comfortable, higher quality, more spacious. 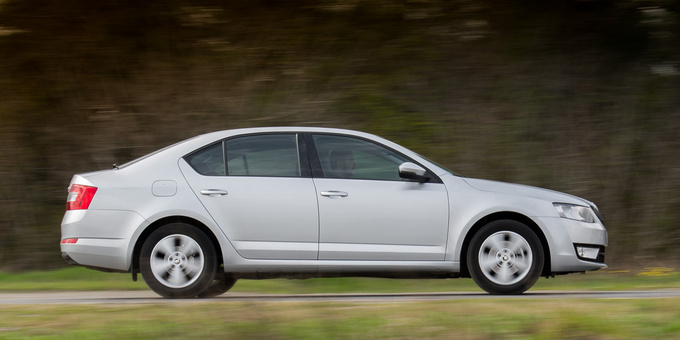 The car drives better, consumption has gone down, weight has not gone up, and while you cannot really compare prices over 14 years the Octavia has remained within the same value bracket. I know winning or losing the Car of the Year title is about as relevant as winning or losing the Eurovision Song Contest, but while I don't mind the Peugeot 308 winning, the Škoda Octavia should have at least got honourable mention.